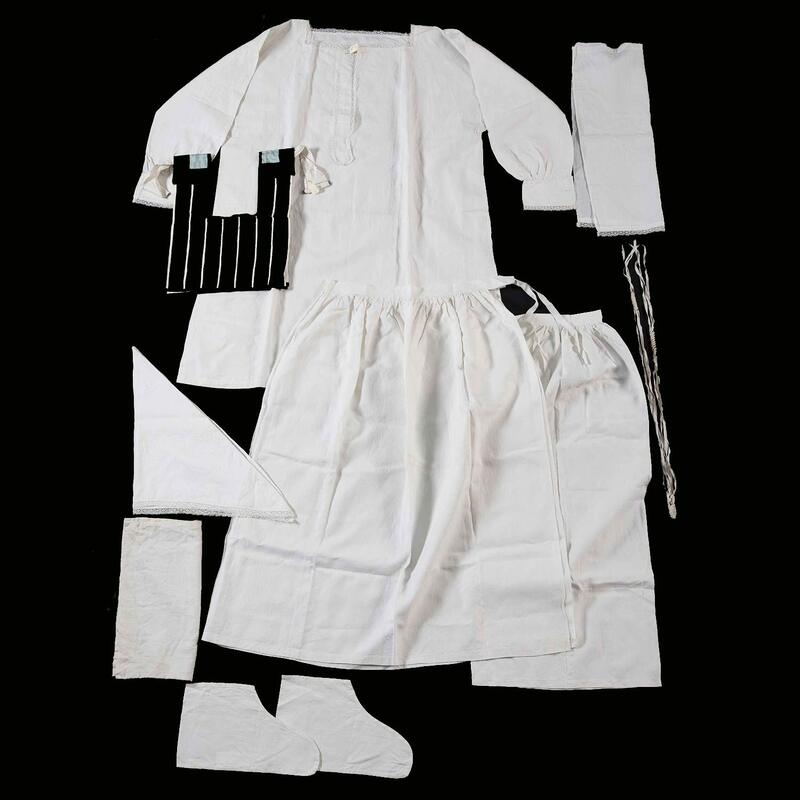 The maker of these garments, Melanie Cahen Levy, was born in Luxembourg in 1884. In 1911 she married Daniel Levy, a baker from the nearby town of Bollendorf, Germany. 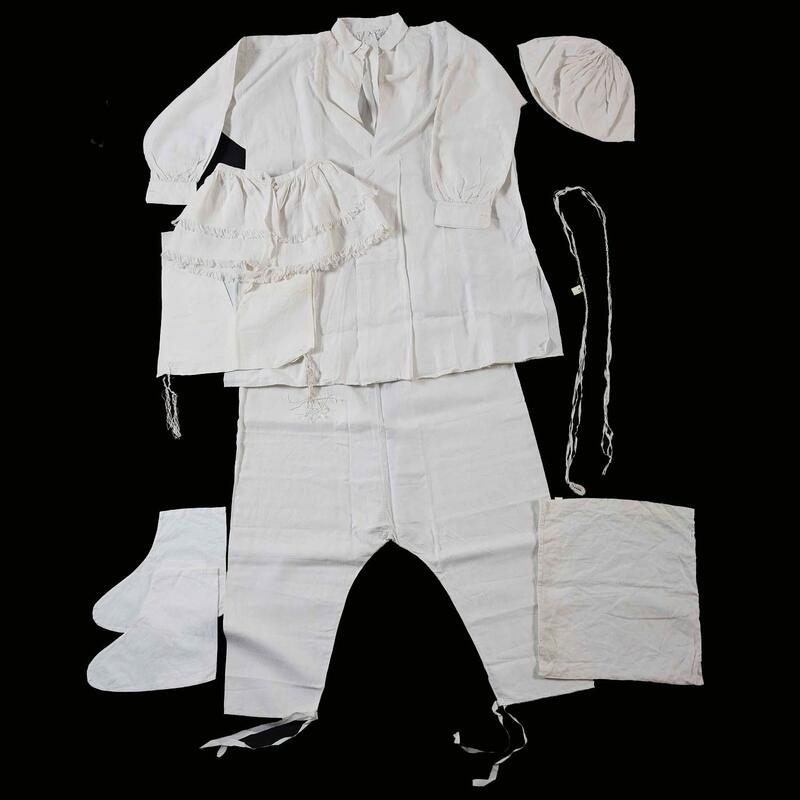 A local Jewish custom was for a newly married woman to create burial suits for her husband and herself. Melanie sewed and embroidered these garments and carried them with her when the couple fled Germany after the Kristallnacht pogrom of November 1938. During the war the couple hid in France and eventually escaped to Switzerland. After the war they settled in Nice, where they later died and were buried according to the local custom, and the funeral garments were not used.